Beginning in the 1920s, Cincinnati businessman Powel Crosley, Jr., ventured into radio broadcasting, establishing WLW, a Cincinnati radio station. 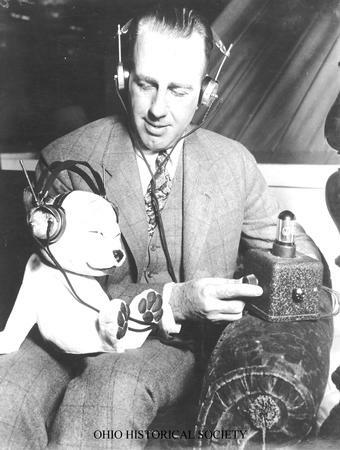 He increased the station’s broadcasting power to 500,000 watts, making it the most powerful station in the world. Supposedly, the station was so strong that people could actually hear broadcasts through the gutters on their homes. During World War II, the federal government utilized Crosley’s station to broadcast the Voice of America all over the world. Eventually, the Federal Communications Commission reduced the maximum wattage for radio stations to fifty thousand watts.